Consequently, this surgery put her back on bedrest. MJ said, “How I’ve gotten through this is with a lot of faith, my beautiful father’s calming spirit inside of me, along with a maternal strength, and my husband’s unrelenting support and kindness.” I wonder how her mother Vida Javid feels about not being mentioned? I can just picture Vida by MJ’s bedside yelling at her for not plastering her face with make-up post surgery. MJ then shared another update from the hospital. She said, “There is so much more to come and although bed rest has not been the ideal way to spend this beautiful time, I am learning a lot, and finding a blessing in EVERYTHING.” I would agree that going through a traumatic time in your life does make one reflect and appreciate what you have. MJ also dished that some of her pregnancy will be featured on the upcoming season because she will have been in her third trimester. Let’s hope that the rest of MJ’s pregnancy is smooth sailing and drama free. She needs a break. 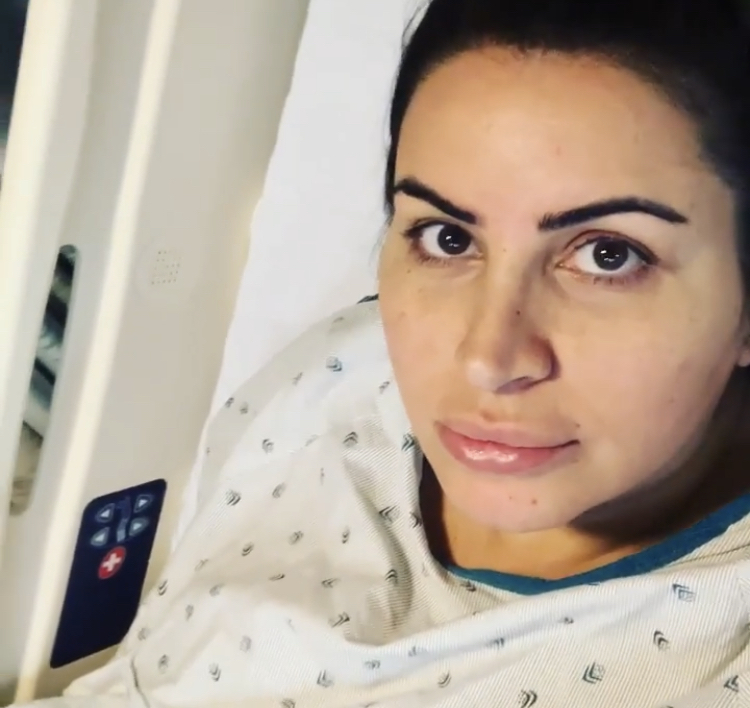 TELL US – DO YOU THINK MJ POSTING ABOUT HER SURGERY IS A GOOD IDEA? OR IS IT TOO PERSONAL TO SHARE WITH FANS? DO YOU THINK VIDA IS UPSET FOR NOT BEING MENTIONED IN THE POST? DO YOU THINK THE REST OF THE CAST WILL VISIT MJ?